T-Nagar is the holy grail for shoppers in Chennai, and Maya Plaza is one of the lesser-known shopping destinations. Here’s why you need to go - great collections, cheap price, and awesome deals! From summer accessories and clothing to crockery and home decor, here are the best stores to shop at when in T-Nagar’s Maya Plaza. It's that time of the year when you're frantically looking for rubber bands to tie your hair. 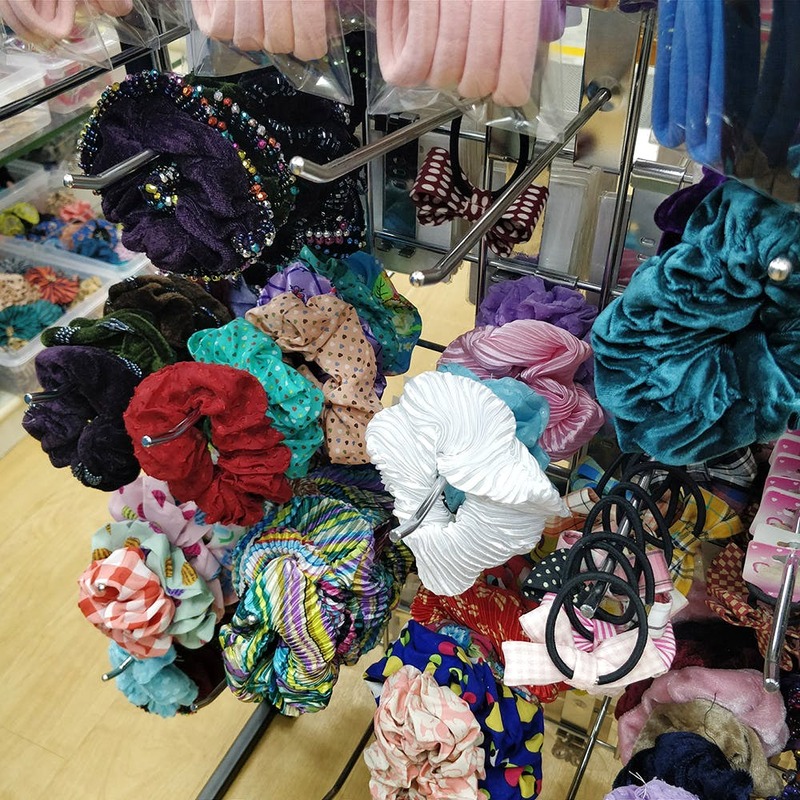 You can’t find another store in Chennai with exclusive hair accessories at super budget prices, so hoard up on them colourful hair accessories! Hiteshi Corner is a store dedicated to hair ties, scrunchies, banana clips, fabric clips, butterfly clips, bows, and the cutest hair accessories starting INR 20. Get the best look for this summer with accessories from Hiteshi Corner! This store in Maya Plaza has the best palazzos priced from INR 650. These palazzos come in rayon, cotton, jute cotton, and chanderi, and are super comfy - perfect for the summer as they are soft on your skin and will protect it from burns. Pair the black and white striped palazzos with a tie-up shirt and your summer outfit is set! It’s time to binge on Elaneer, lemonade, rosemilk, paneer soda (the list is endless), and Shivani has the best crockery for sipping on the cold fluids. From fancy glass bottles to adorable mason jars and teacups, shop crockery starting INR 80 here. Our favourite is the quirky light-bulb shaped glass, perfect for cold watermelon juice! This men’s clothing store in Maya Plaza has the most comfortable linen shorts and shirts priced from INR 200. Their shorts collection has printed, drawstring, and denim shorts, and the linen shirts are perfect for the summer. Another one for the accessories addicts, Chimers is a tiny shack-type store in Maya Plaza with wooden bangles, jhumkas, and jewellery starting INR 15. You can’t expect a great variety, but price-wise this store is awesome. You can walk out with a couple of earrings and necklaces all under INR 150. From boyfriend jeans to T-shirts, Classic Collection is filled with summer clothing options for men. The tees come in Madras checks and printed doodles and are priced from INR 200. The polo shirts in yellow and white are comfortable and essential in keeping you comfy all summer.